Canadian punk rock band Excuses, Excuses release their new EP Frame of Mind on 25th November. It’s an honest and raw punk assessment of modern life, holding a mirror up to the worst aspects of one’s life and encourages people to seek different perspectives to attain a better understanding. For a band at the beginning of their careers it’s a solid and promising EP. There’s a big nod to compatriots Billy Talent mixed with the raw simmering punk attitude of Against Me! alongside the more accessible pop rock of Foo Fighters. It’d be fair to say that there’s all the right ingredients here, they perhaps just need something extra to make them special. ‘The Outsider’ is a big, uncompromising alt rock track. Starting out like a genuine punk anthem it loses its gumption and ends up decidedly middle of the road. It’s one of those tracks you want to be good but falls just short of the mark. ‘Alibis’ is good but nothing more. ‘Rewind!’ is a marked improvement and a real balls out punk rock track – it’s telling that when the band go for a punkier sound that they’re at their best. The less middle of the road it is the more likeable and honest it sounds. 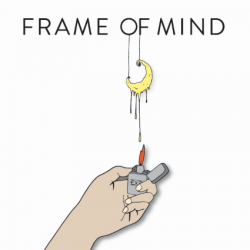 Title track ‘Frame of Mind’ again is good but nowhere near earth shattering, an enjoyable track but not one you’d rush back to. EP closer ‘(Is That) What You Meant’ is the standout track – the hook is immediate and commanding – channelling their inner Billy Talent it’s a rousing call to arms that you instantly fall in love with. A mixed bag, but one that shows Excuses, Excuses as a band with loads of potential. Ones to watch in 2017.